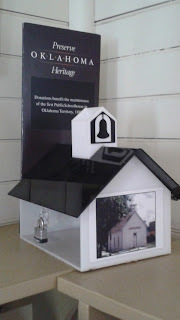 In my last blog, I talked about how the first schoolhouse in Edmond Oklahoma was built. 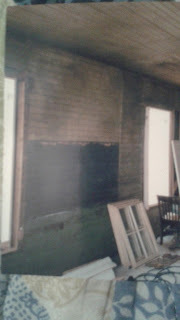 In this blog, I would like to talk about the renovation of the schoolhouse. First of all, I apologize for a mistake I made in my last blog. The schoolhouse was not purchased in 1998, but instead, on May 31, 2001. In 1998, the task of raising funds to purchase the property began in earnest. After the property was purchased, the Edmond City Council and Mayor voted to match the amount the Trust raised, up to $125,000. Nearly $10,000 had been raised by the beginning of 2001, followed up with the Kirkpatrick Foundation giving an extremely generous $35,000, $5,000 from the Kerr Foundation and pledge of $25,000 from the State Oil Spill Fund. While the Edmond Women’s Club donated $95,000, the City of Edmond kept their word and matched the Women’s Club’s donation. So on Thursday, May 31, 2001, the Edmond Historic Preservation Trust bought the property for $100,000. Small schoolhouse shaped money banks were put around Edmond by the president of the Oklahoma based local bank, MidFirst (which has now expanded into Phoenix, Arizona and Denver, Colorado) in support for the public’s donations in the final stretch for the funding. But all of that adds up to more than enough, right? Correct. However, they needed funds to renovate and purchase furnishings and other essentials, like bathrooms and educational program development. Downstairs, they had to deal with all of the camera equipment that was left behind. Upstairs, in the bedrooms, objects were left like bookshelves. There was beautiful pine paneling in a back office, and wall paper from each generation. 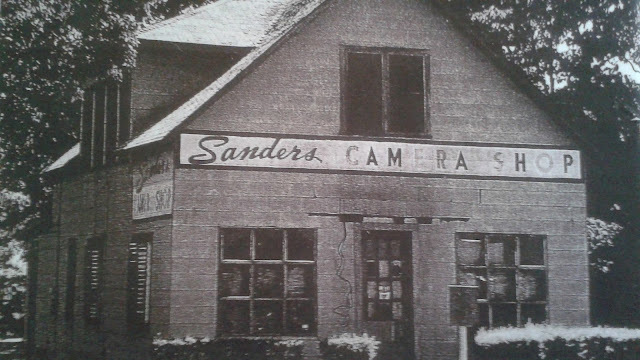 As I said in my first blog (posted in the Archives & dated Feb. 19th), there was a lot of debate that the old Sander’s Camera Shop was the original 1889 Territorial Schoolhouse. One of the breakthroughs came on a boiling hot August day, when workers had been pulling back years and layers of wall paper, paint, inside walls, newspapers and cheesecloth they uncovered five blackboards and the outlines of the original windows. On one of the blackboards, you can still see bits and pieces of the last writing. The blackboards were just painted on the walls, the paint they used being a mixture of burnt sweet potato and milk, then directly painted onto the boards on the wall. Which was very convenient since there were straight lines for you to write on! On the blackboard on the east wall you can still see the last words written on it. When the dormers were taken down, they found parts of the original roof! It now hangs inside. Among other original things being discovered was original flooring and holes for the stove pipe and holes for the rope for the bell. The walls for the majority, are original, and were so hard that the electrical and phone workers had troubles drilling holes. Workers and volunteers came in and sanded down nail holes. Progress was being made. An old stove was found in the back of a local barn was sent to Kansas to be refurbished. Students in two local high school wood classes, cleaned, sanded and refinished desks that had been donated. Skids on the desks were made and attached by the Boy Scouts, including the picnic tables in the yard. Books and supplies were donated and bought, and a paint color was chosen. After years of sweat, blood, stress, grief and restitution, the schoolhouse was finally complete and ready for the Oklahoma Centennial Celebration in 2007. There was a grand opening for the public that April, correlating with the first land run in 1889, and a schoolmarm was hired so local public school and home school kids could come to spend the day like it would have been back in 1889. The day there actually counts as a day of school, not a field trip for the kids. 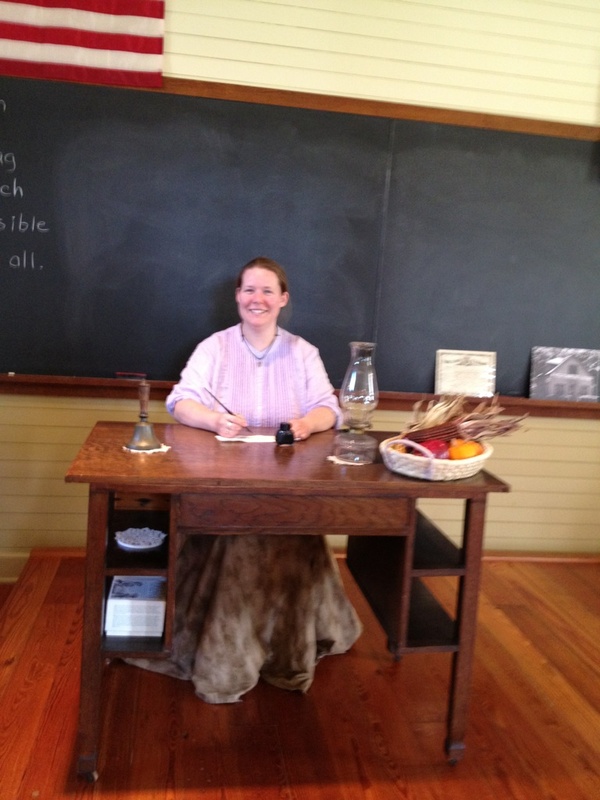 To find out about reserving a day at the old school, contact the Edmond Historical Society at (405)340-0078. The Edmond 1889 Territorial Schoolhouse can be used for limited group meetings and private tours. Call (405)715-1889. It is also open to the public every first and second Saturdays of every month from 1-4pm and on the 4th of July, with the weekend schoolmarm who has passion for its history. Here I am, the weekend schoolmarm! The third and final part of the schoolhouse blog will conclude in October. I know, why not next month?! Well, there is a very good reason and in October you will find out. Here’s a little clue. It is another first, an event that happened in 2014 that echoed another first in the schoolhouse, one that was mentioned in the first blog. Have I hooked you yet? Stay tuned! Born and raised in the Edmond, OK area, Alanna Radle Rodriguez is the great, great, granddaughter of one of the first pioneers to help settle the area around what is now Seminole, Oklahoma. The fourth generation in a line of women in her family to be born in Indian Territory/Oklahoma, she has lived in her beloved state all her life. With her knowledge of surrounding area history, her heart relishes in volunteering at the Oklahoma Territorial Schoolhouse in Edmond. She lives with her husband and parents in the Edmond area, currently working on a historical romance set in pre-statehood Waterloo, Oklahoma. Thank you, Alanna, for your most interesting and informative post. Thank you, Melanie! I'm glad you found it interesting and hope you will enjoy other posts. Thanks for the interesting info on the Edmond school. I really need to visit there when I get a chance. Great article. I need to visit one of these days. Hey, Terri! Thanks! I would love to show you around. Like I said, we are open the 1st and 2nd Saturdays of every month from 1-4pm. Drop on in! Another grand slam! Good job!!! Thanks, Janet! Much appreciated! Hope you enjoy the rest of them! Very interesting! 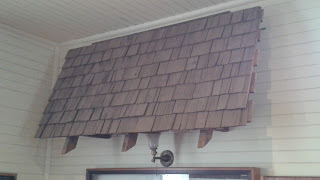 There's an old schoolhouse in our county here in southern Illinois that has been restored by an individual. I've not seen the inside of it but the outside is gorgeous now.